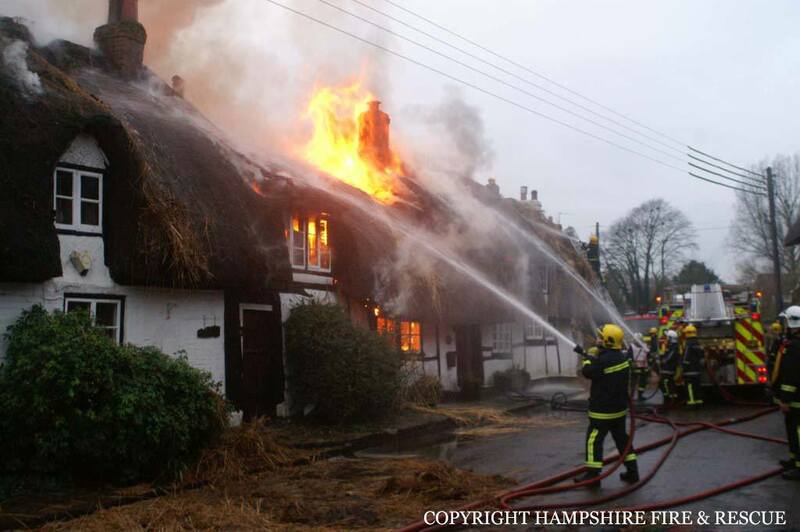 Thatch-Safe® is a fire retardant product which was especially designed, developed and tested with input from thatchers, architects, surveyors, firemen, builders and thatched home owners to come up with a solution which not only met the same building regulation as the Dorset Model (B4) but also to address concerns over solid boards on thatch roofs, ie breathability, non straight timbers and also insulation requirements. It is a one product solution. 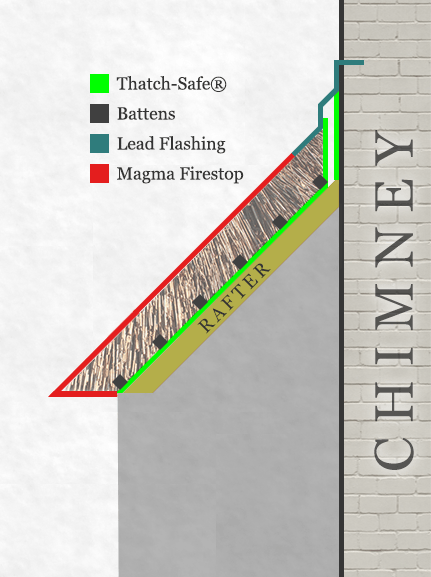 THATCH-SAFE fire barrier achieved LABC System Approval in 2008 (valid for 3 years until 2011). We understand due the costs of renewal it is no longer valid as national approval and as a result approval by individual councils will be required. The product and building reg have not changed. All Models are there to try to make things more straightforward when working on projects with building regulations. Both of the ‘thatch’ models above have been adopted on properties where the ‘within 12m of the boundary’ rule does not apply but where the owner wants to reduce risk and increase protection of their property. 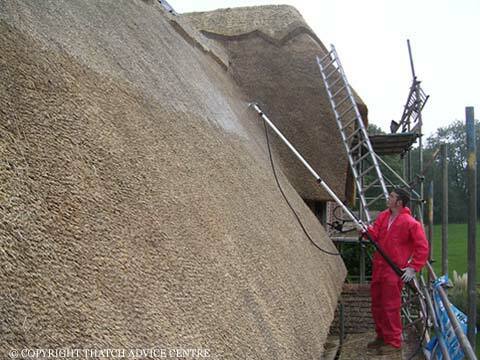 This product is therefore another option in providing a fire barrier for thatched roofs which meets the B4 building regulation. There is a choice. Meets fire retardant barrier and insulation requirements. See insulation section on Building Regulations page. 60 mins integrity, 30 mins insulation. 30 mins fire resistance. Tested for vapour permeability and is breathable solution. Benefits non standard roofs eg listed properties, those with many windows and valleys. Lightweight, flexibile and easy to fit quickly. It is important to stress that there are some flexible fire barriers available which do not meet the building regulations. Please see the quote from Building Control on our Building regulations page. The decision on which fire protection choice to use comes down to the understanding of your requirement and then evaluating options available. Many thatchers, architects and builders contact us and do not fully understand the different Models nor their positive or negative points. Please feel free to contact us for any further assistance.